Online banking can some times be tricky to navigate but banks like USAA, make it easy. It is a one stop bank for all needs such as banking, insurance, and loans. USAA offers more than just a debt and savings account, they can provide auto, home, health, and rental insurance at very low rates. They offer higher discounts than other competitors such as loyalty, multiple product, and legacy discounts. If you choose to open a credit card with them, the will provide you a credit score free of charge and available to view 24/7. USAA’s credit reward program lets customers redeem points for cash, and doesn’t require an unreasonable number of points for it. Along with a regular website, USAA has a mobile app which makes it easy to view anywhere. It is easy and free to send and receive money from any member, even if they are not on your account. This is a huge benefit for families spread out across the globe. You can wire anyone money with only a small free, regardless of where the receiver banks. Checks are super easy to deposit from your mobile phone. Just sign the check, take a picture, and it’s done. The online support community is what makes USAA a cut above the rest. You can seek advice on investments, retirement, and about life in general like parenting and moving. Members of USAA can take advantage of the free professional planning tools. You can set up personalized plans for your investment, retirement, or set up financial goals like to build up a savings account. Their website is easy to navigate and make payments on. Since this is an online bank, having a user-friendly website is a must and USAA nails that aspect. As soon as you log in, you can see all of your accounts, insurance or loan portfolios, and where you are on your financial goals. Your profile is very customizable to show what is most important to you. All documents are in one convenient place for you to find and print as needed. You can also submit any information requested by USAA in the same area. Members get to enjoy amazing savings when booking through their website. Turbo Tax offers free tax filing for all USAA members, that’s about $60 saved. There are other various online shopping discounts on things like flower delivery, Fed Ex shipping, and cruises. If you are in the market for a new car, USAA has partnered with sellers to bring you the best deals which can all be found online on their car buying service. Their car buying service has a rating of 4 out of 5 stars by its users. The average user saves about $3,485 by buying off their site. The customer support at USAA is always easy to deal with and they provide special numbers for overseas members to avoid any long distance fees. USAA pays back ATM fees once a month. This is very helpful if you need to make withdrawals often. When you have a Certificate of Deposit, they guarantee growth of 1.06% APY, higher than most competitors. I started banking with USAA as a teen and the customer support was more than happy to set everything up and explain everything to me. They spent about an hour on the phone just telling me about what I can do and how to start saving for college and a car. When I bought my first car, they took care of mailing the check and emailed me a list of everything my state required for getting the registration and title. Even though it was my first car and I was young, they still offered me the lowest interest rate out of the 4 banks I talked too. At the age of 18, I moved into my apartment. Even though everything was new to me, I was able to easily set up renter’s insurance online within 10 minutes. A few years later I moved overseas, USAA had all of my information updated that day and my updated insurance papers were available within the hour. For my recent vacation I booked a car rental through USAA for $109, if I had booked the same car through the rental company’s site we would have paid about $180. When I told USAA I wanted to start a savings account for my son, they were able to set him up a special youth savings account that my husband and I have full control over. We love being able to monitor his account and help him learn to save. I have been banking with USAA for over 15 years, through 4 moves, and never had a problem with them. The biggest complaint about USAA is that it is only for military members and their families. 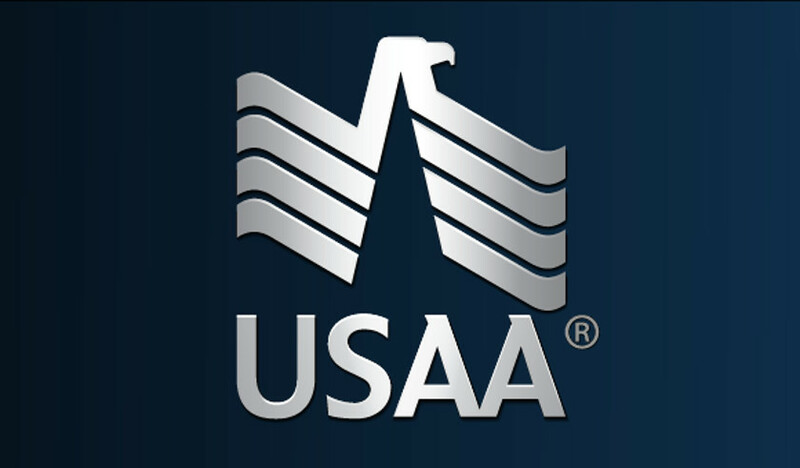 USAA is able to offer the rates that it does by keeping a small customer base. If you are a service member, you can pass USAA along to your children and grandchildren. If your grandparent was a military member, then you are still eligible to use USAA. USAA only banks with people, they do not offer business loans or insurance for businesses. Reimburses ATM fees, but only up to $15 a month. Savings accounts have a limit of 6 transactions a month. They do offer credit monitoring but you are not automatically enrolled, you must go online and request to enroll. Other online savings accounts and other Certificates of Deposit may offer higher interest rates on deposits. To summarize: USAA is the prime choice to go for everyone who is able to bank with them.